Lake Tahoe is known for it’s amazing recreational opportunities and outgoing group of residents who are dedicated to enjoying the Sierra. It is not known as a manufacturing center and it is certainly too cold to make it as an agricultural hub, but it might surprise you to hear that Tahoe and Truckee is full of ingenious, entrepreneurial folks who have designed and developed a host of interesting products. 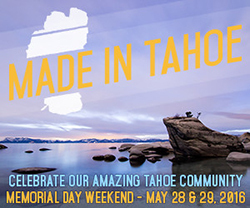 You can learn about some of the best of them this weekend at the Made in Tahoe Festival in Squaw Valley. The Festival, which goes from 11 am to 7 pm on Saturday May 28th, and 11 am to 5 pm on Sunday May 29th, will exhibit the products and services of over 80 locally made or created businesses and organizations. You will find handmade clothes of every variety, fine art and photography, pottery, jewelry, skis and snowboards, stuff for your dog, and interesting packaged food products. You will also be provided with information on a variety of the local non-profits and environmental organizations who are trying to make our communities better places to live now, and for our children and grandchildren. Hungry? Over thirteen purveyors will be there dishing up an eclectic mix of food. Finally, a highlight of the weekend will be a Community Farm to Table Dinner on May 28 with food provided by Tahoe Food Hub and Mtn Roots. It’s a five course family style dinner featuring local food and chefs, as well as beer, wine and cocktails. 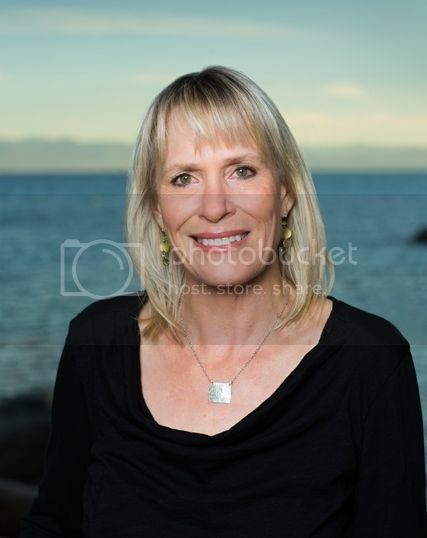 The proceeds benefits the Squaw Valley Institute. Tickets cost $100 for SVI members and $125 for non-members. Reservations are required, go to squawvalleyinstitute.org for tickets.